Apologies to anyone waiting for build updates on the 6080 King’s Castle. They will come in due course, but I’ve had a bit of a builder’s block – or more to the point, a washer’s block. I have plenty of pieces now to start, but I need to wash and clean them before I do. Once there is movement on this front, I will be on the case here on the blog as well. Meanwhile, I haven’t completely forgotten about LEGO. 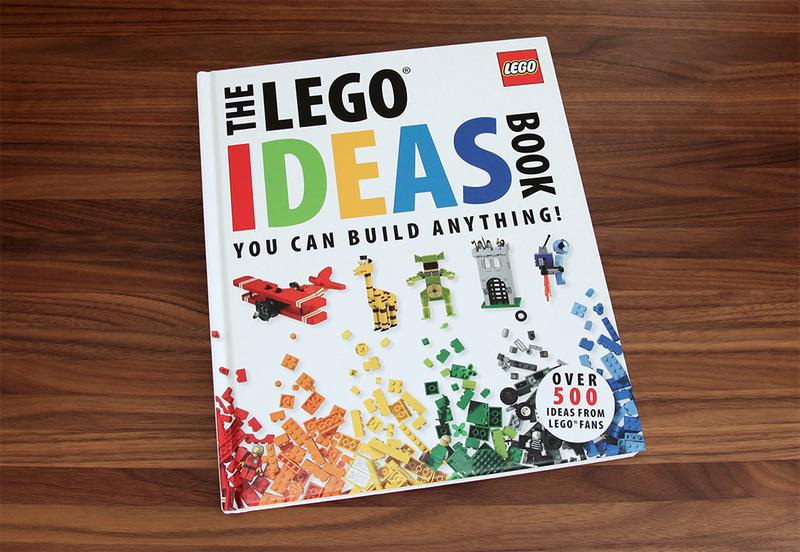 I have been reading The LEGO Ideas Book (2011) that my son got recently as a present. 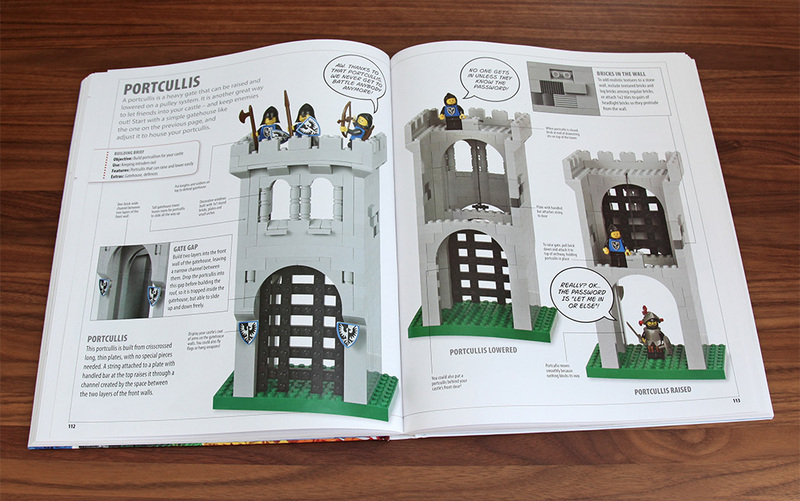 The great thing about this book is that it is full of ideas from Adult Fans of LEGO (AFOLs), mixing and matching pieces from many different LEGO eras and apparently even using some unorthodox building techniques, while still fully licensed and very professionally presented. Indeed, the builders are present at various LEGO forums. There are no step by step building instructions, instead the book demonstrates various ideas and techniques through completed models that are shot from various angles (at times partially dismantled) with supporting text. The book is divided into six chapters, roughly described as vehicles, town, space, castle, pirates and accessories. Most of the chapters include ideas on both minifigure scale and microscale for those with less bricks and room, which is nice. None of the models presented are official LEGO Group designs (although are apparently approved by them), but made by adult fans who are also interviewed at the end of each chapter. I found these interviews particularly inspiring for an AFOL wannabe like myself. The best part, of course, is the fourth chapter In Days of Old, which is basically the LEGO Castle chapter. There are many classic-like designs, often pictured with Black Falcon knights. Considering my past efforts, the best section has to be the portcullis spread. If anything, I was left wanting basic building instructions for some of the designs and ideas presented. Not for the full designs of course, but for smaller details and foundations. I think it would have been a welcome addition and make the book more accessible to children as well. For example, in the car chapter it would not have hurt to show some step by step basics for LEGO vehicle building. Same goes for building the ambitious sloped roofs later in the book. Last but not least, building the portcullis was only explained, not demonstrated. Nevertheless, I highly recommend this book!